ST. PETERSBURG – A strategic bomber of the US Air Force approached the borders of the Kaliningrad region, according to data provided by the monitoring resource Plane Radar. 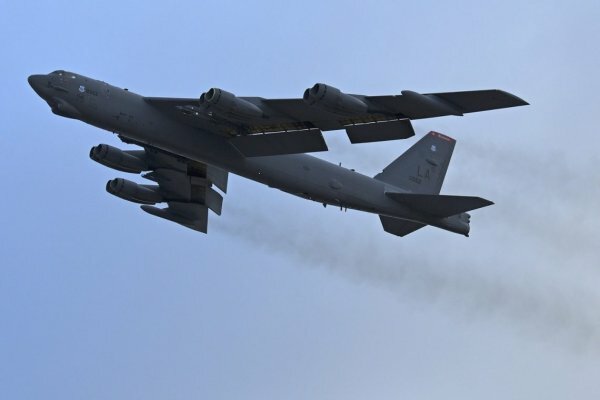 Russian authorities have confirmed that the B-52H Stratofortress engaged in a major provocation from eight thousand meters, simulating a nuclear attack on the Baltic Fleet. At 11:45, the Boeing B-52H Stratofortress with tail number 60-0024 took off from the Fairford airbase. At 13:20, it completed a simulated nuclear attack on the base of the Baltic Fleet. The mock attack took place at an altitude of about eight thousand meters. Three days ago on March 17th, FRN reported that 6 US nuclear bombers had been deployed to the Fairford airbase, from the United States. Boeing B-52H Stratofortress – a strategic bomber, in service with the US Air Force since 1955. The aircraft is capable of carrying various types of weapons, including nuclear ones. Recently, the activity of foreign reconnaissance aircraft and UAVs at the borders of Russia has increased significantly. So, on Monday the Boeing B-52H Stratofortress was noticed near the borders of the Leningrad Region. Then the American pilots also simulated the bombing of the base of the Baltic Fleet, approaching 191 kilometers to St. Petersburg during the flight.